Empirical studies with adaptive systems offer many advantages and opportunities. Nevertheless, there is still a lack of evaluation studies. 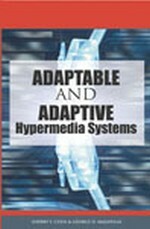 This chapter lists several problems and pitfalls that arise when evaluating an adaptive system, and provides guidelines and recommendations for workarounds or even avoidance of these problems. Among other things the following issues are covered: relating evaluation studies to the development cycle; saving resources; specifying control conditions, sample, and criteria; asking users for adaptivity effects; reporting results. An overview of existing evaluation frameworks shows which of these problems have been addressed and in which way.